Home » Blog » How To Post Job On Google For Jobs Search Engine? Google has entered into recruitment space! On the onset it had introduced “Google For Jobs” in few regions like US, UK and now expanding into most geographies across the world. Let’s look at what is Google For Jobs, why you should be using it and how to post job on Google For Jobs. What Is Google For Jobs ? Practically google has been answering every question for you. Even a routine question as “where is the nearest coffee shop ?” With Google For Jobs, it is trying to do the same. But this time it is trying to find you a job that you are looking for. It is making job search very easy for candidates by aggregating job listings from various job boards, career pages and showing it to the candidate. 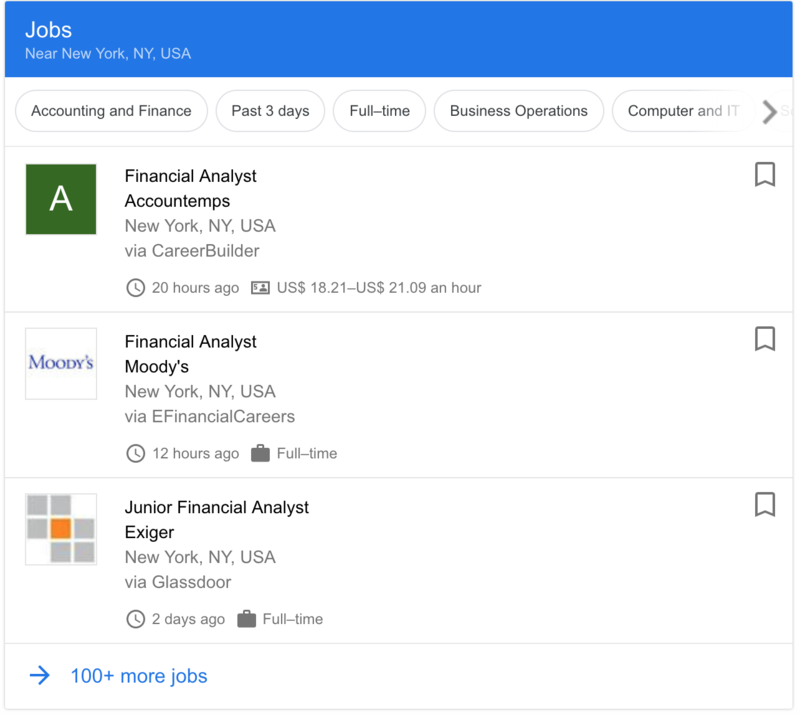 Google for Jobs uses AI, machine learning, NLP and integrations with job boards to aggregate jobs listing so that it can be easily shown as results of google search. So, if you manage to post job on google for search, job seekers should be able to find your job listing like any other google search result. e.g. if you google search “Financial Analyst jobs in New York”, you will see results from Google as shown in the image. 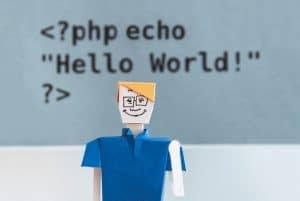 How To Post Job On Google For Jobs? There are two ways you can post job on Google for Jobs. Follow below steps to integrate your company’s career page with Google. Publish Jobs Using HTML Format as Advised by Google. This document is technical. UI developer in your team should be able to accomplish this with ease. Publish sitemap to let google know when or how frequent jobs are posted or removed from your website or career page. A UI developer in your team should be able to handle above steps. Also, you will have keep updating career page information as you add new jobs posts or take down positions that are no longer available. Alternatively you may choose to use modern applicant tracking system or recruitment software to post job on google for jobs at a click of a button. Most of the leading job sites have already integrated with Google for Jobs. Jobs posted to these websites can automatically appear in the google search results. Few of these leading job boards are as below. There are many more job sites apart from listed above. If you think posting jobs to each of these job sites is lot of work, then you may opt for an applicant tracking system (ATS) or recruitment software that can do it in matter of few seconds. Can I Post Jobs Directly On Google For Jobs ? No. You cannot put jobs directly on google. Google itself aggregates various jobs from job boards or from career pages of the companies. Among all the possible methods where candidate would get to know about a job opening in your organization, finding it on google search seems to be most simple and organic method. Isn’t it? Until recently, candidates would search jobs on various portals like LinkedIn, Indeed, Monster, etc or they would browse through the career pages of the company they might be interested in. “Sourcing candidate is a marketing job!” You should post your jobs on the platforms where it reaches to maximum candidates. And honestly who could beat Google search? Do I have Pay To Google For Posting Job? No. It is free as of now. It’s a free advertisement. Isn’t that a great news! Once you manage to post job on google for job, you would be interested to know if job you posted is being displayed as part of google search (impression) or if candidates are actually clicking on the job (click through ratio – CTR). This kind of data helps you understand if job post on google for job helping you anyway. To view these kind of details, you can use a tool – Google Search Console. It is a free tool offered by google that helps to monitor and maintain your website’s presence in google search results. Also, you should also be able to distinguish among different sourcing channels of resume. Meaning, you should know where you are receiving resumes from. If it is coming from career page, social media platforms, job boards, recruitment vendors, employee referral, etc. 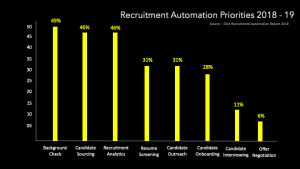 These numbers will help you understand what kind of sourcing channel working for what kind of job. You can use SEO techniques to make sure your job listing always appear in top listing of google search results. “Job Description is your sales pitch” . One must emphasis on writing good job descriptions that clearly describes the nature of the job, skills required, career growth, etc. You may want to research on how to write good job descriptions. Job descriptions with clarity, right information has a great chance of being in top results of google search. With more than 80% of the internet users use Google for their internet search, you don’t want to miss on this wonderful opportunity to attract candidates. More recently, Facebook also entered this space. This is a clear indication that companies want to take jobs to candidates and not the other way. And what could be a better way than post job on google for jobs!